The major redevelopment of the Kushner Companies' 666 Fifth Avenue building by Zaha Hadid Architects (ZHA) may be stalled for good. According to Bloomberg, Kushner's partner on the project, Vornado Realty Trust, has decided to simply renovate the site's existing structure. 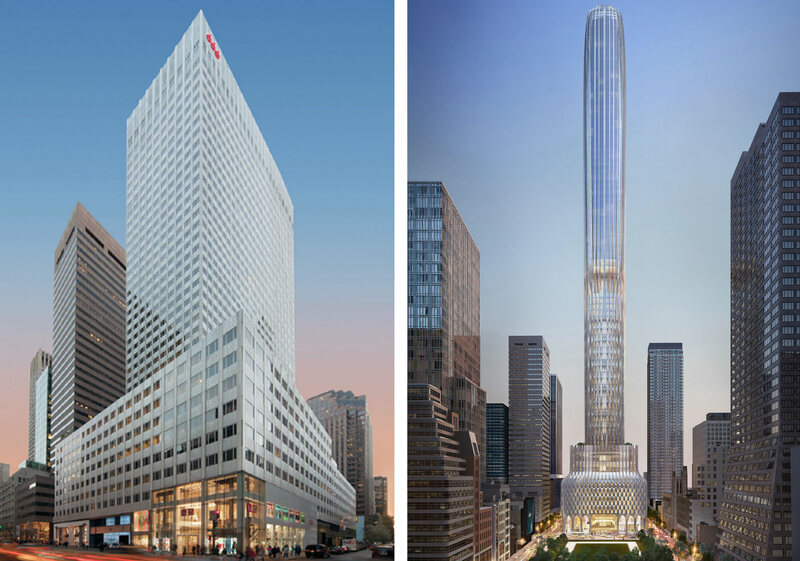 Kushner's original plan, with designs by ZHA, was to strip the current building down to its steel core and extend it up into a 1,400-foot-tall slender cigarette of a tower. The building would have included luxury condos and office space as well as a five-story mall. Currently the property, a 1957 Carson & Lundin-designed aluminum panel building, is a sturdy 41 stories with its unforgettable address displayed in huge numerals at its peak. In ZHA's plan, the development would have been rechristened 660 Fifth Avenue, distancing itself a bit from the connotations of its current address. When the renderings for the new tower were released earlier this year, finding investors for the project proved difficult. Some were concerned by a potential conflict of interest as Kushner Companies' former director, Jared Kushner, left to serve as the senior advisor to his father-in-law, President Donald J. Trump. Anbang Insurance Group, a Chinese conglomerate, pulled out of investment negotiations with Kushner in late March, dealing a significant blow to the development's progress. Now that Vornado has refocused its attention as well, ZHA's design is on hold. Both of the partnering organizations have vastly different stakes. Vornado spent $80 million for its share of the project with money drawn from a secure portfolio of properties. Kushner Companies had to withdraw the costs for their share–$30 million–from the property itself, having struggled to find investors since the beginning of the Trump presidency. 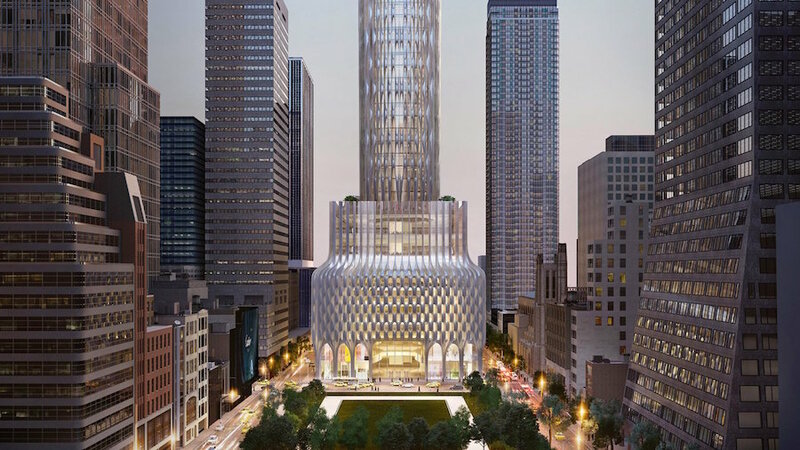 Politics aside, it looks for now like Midtown Manhattan won't be getting Hadid's steel-frame torpedo. Those interested in renting an apartment at 666 Fifth Avenue (which were estimated to go at $6,000 per square foot) can perhaps plead for a condo exchange at ZHA's new residences in Chelsea at 520 West 28th Street.